Raj Barcode Systems Pvt. Ltd. (RBSPL), since 1994, is an AIDC (Automatic Identification & Data Collections) solutions and services provider with strong focus in the area of pervasive technology, innovative solutions and world class products. RBSPL's goal of providing Single Source Total Solution is served by its strategic business units for Hardware, Software, Consumables and Support. This framework enables to deliver high QoS and aids in achievement of customer delight. We develop customized solution for Warehouse & Inventory Management, Track & Trace, Asset Management, Logistics, Sales Force Automation, Retail etc. We also provide System Integration Services for integrating Mobility Solution or any Hardware with existing ERP like SAP, Oracle, Microsoft Dynamics, Ramco, J. D. Edwards or customized ERP. Our clients includes Manufacturing, Pharma, HealthCare, Education & Libraries, Logistics and Government agencies, to name a few. 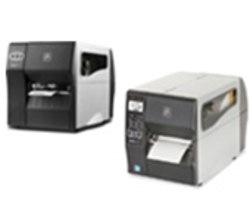 As an authorized and direct partner of world's leading manufacturers in the data collection industry for thermal printers, barcode scanners, Wireless data collection systems and specialized labels, we maintains inventories of equipment, labels, ribbons, and replacement parts, offering almost immediate availability at competitive prices. Raj Barcode Systems is dedicated to provide customers with top quality service, fast delivery and the competitive prices in the market. Browse our complete catalog of Barcode Printers, Barcode Scanners and Labeling Solutions to find out solution that works best for your needs.